Mar. 27, 2019 – Spring is finally here! As we are preparing to leave March (and the winter weather) behind us, we wanted to take some time to reflect on what an action-packed month it has been. Additionally, the new season means new exciting things are happening at SCNY. Read on to find out! First up, we want to congratulate our Kaiju Youth students for all of the hard work they have been putting into their training and it shows! Ranking exams took place during the first week of March, giving them the opportunity to show their instructors and their parents all of the new skills they have learned this past quarter. Congratulations to the youth students for their new ranks – keep up the good work! Additionally, we wanted to welcome our new youth students joining us this quarter and we look forward to seeing you on the mat! In other Youth program news, the new quarter means that there are new Character Building assignments for Muay Thai and Brazilian Jiu Jitsu. 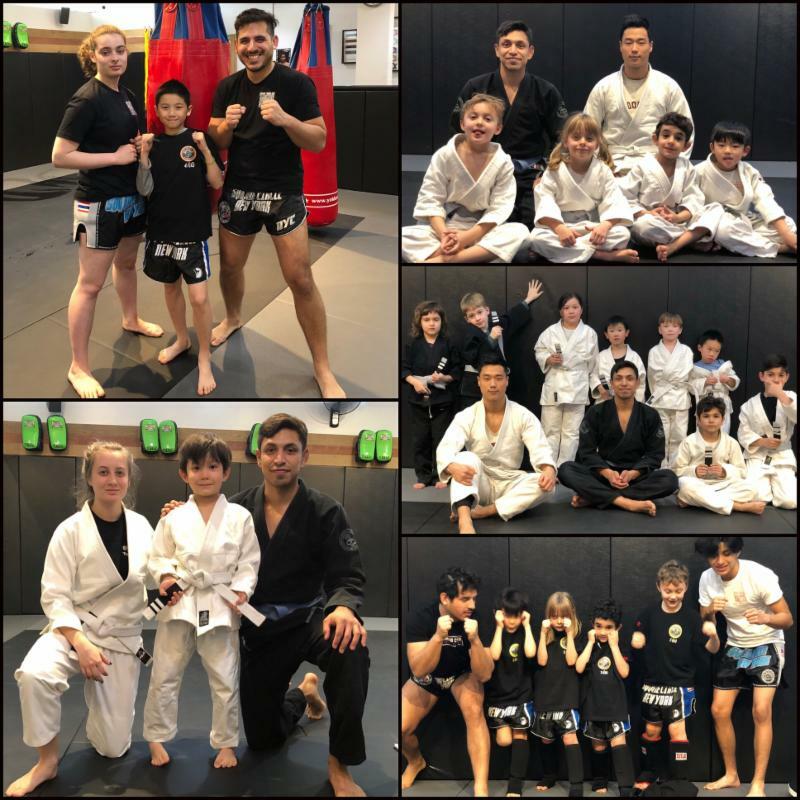 In order to be eligible for the next testing cycle, students must have completed and handed in two assignments for both Muay Thai and BJJ classes. Please keep in mind that handing in all of the assignments does not guarantee an automatic rank up; good attendance, good behavior, and most of all, hard work are all taken into account during testing week! Next up, we have some exciting news for our Monday night Circuit Training 7pm class. Starting this week, Christine Jones will take over as our new strength and conditioning instructor! Some of you may remember Christine from the time she worked on the front desk last year. Since then, she has gone on to become a personal trainer, certified through the American Council on Exercise. Her training style incorporates mobility and stability training with sports-specific speed, balance, and agility training. Space is limited to 6 people per class, and will take place in the weight room in the back. Members who are interested in taking the Circuit Training class with Christine are encouraged to book their spot in advance ! Please see the front desk for more info. 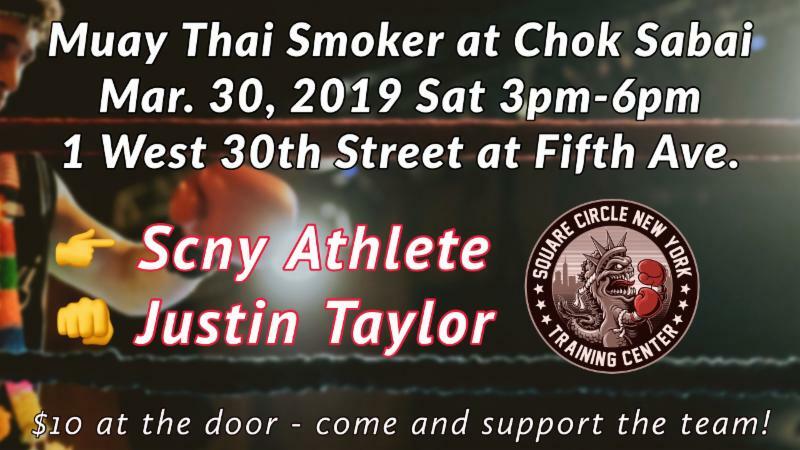 SCNY athlete Justin Taylor will participate in the upcoming Muay Thai interclub smoker at Chok Sabai, March 30th this coming Saturday. The event starts at 3pm and it is $10 for entrance. Chok Sabai is located at 30th Street and 5th Avenue. Come out and show your support! Feb. 10, 2019 – With January over, we are now moving thru February and ready to take on 2019 with goals set for this year! First up, a big congratulations to Mike Florez on earning his Brazilian Jiu Jitsu blue belt promotion from coach Aldrin Soedarto! Coach Mike is one of our youth instructors and teaches Muay Thai to our youngsters. Good job and well earned! In observance of President’s Day, Monday February 18, SCNY will be CLOSED. Adult and youth classes are cancelled. Special note: youth classes are cancelled until Saturday, February 23. The next Muay Thai smoker interclub will be February 23, 2019 and it will be held at Chok Sabai. Event time is 3pm – 6pm and the location is 1 West 30 street at Fifth Avenue. SCNY athletes matched and confirmed are Nick Waterhouse and Steven Campbell. Admission is $10 at the door – come out and show your support! SCNY professional Muay Thai athlete Turan Hasanov is the co-main event at Friday Night Fights March 1, 2019! Make sure you get your tickets at the desk or thru Turan. His fight will also be broadcast live on UFC Fight Pass. Come out and show your support! More events coming up in the next few months so stay tuned! Lots of great things happening in 2019! Jan. 4, 2019 – The next Muay Thai smoker interclub will be January 19, 2019 and it will be held at Chok Sabai. Event time is 3pm – 6pm and the location is 1 West 30 street at Fifth Avenue. SCNY athletes already matched and confirmed are Justin Taylor and Daniel Apasewicz. Admission is $10 at the door – come out and show your support! Just a reminder for the following Monday, January 21, the 12pm Muay Thai adult group class and the youth martial arts classes are cancelled in observance of Martin Luther King, Jr. Day. The evening group classes are on schedule as normal. 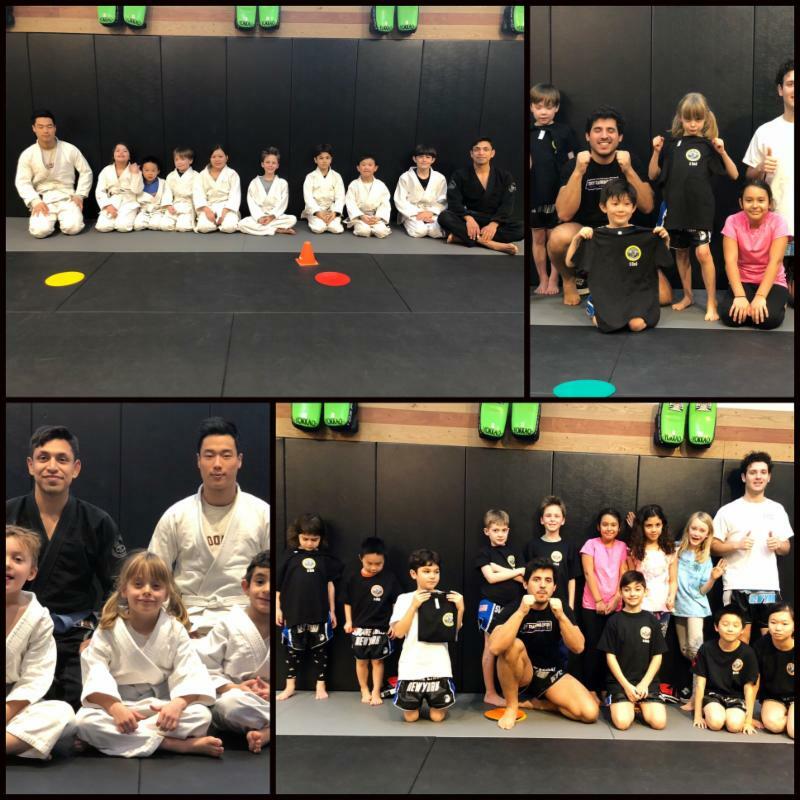 Nov. 19, 2018 – Important news regarding the Youth Martial Arts Program for the Thanksgiving holiday. Youth classes are cancelled Thursday Nov. 22 to Saturday Nov. 24. Normal class schedule will resume on Monday Nov. 26. Youth testing for the past quarter will take place during the first week of December. All 4 assignments must be turned in by Nov. 30 before testing week. Please stop in at the front desk with any questions regarding testing and testing requirements. Additionally, in December, Youth Martial Arts classes will be cancelled from December 24, 2018 – January 1, 2019 for the Christmas and New Year holiday. Please refer to the official closings in the Student Handbook. SCNY Athlete Liam Grant on Muay Thai Madness Card Oct 6, 2018! Oct. 01- SCNY Athlete Liam Grant set to appear on Muay Thai Madness card Saturday Oct. 6! Tickets are $40 and they are available thru him and at Square Circle New York Training Center.​ The event will be held at the Elmcor Center in Corona. Doors open at 4:30p, first bout is 5:30p. May 28, 2018 – SCNY Training Center is CLOSED Monday May 28 in observance of Memorial Day. Square Circle New York will be back to regular training schedule on Tuesday. Sep. 04, 2018 – Get ready for Muay Thai Mornings at Square Circle New York starting this week! All levels Muay Thai classes begin this Wednesday, Sep. 5, at 7am. These classes will be weekly, every Wednesday morning until Sep. 26. Muay Thai is for everyone and those of you that asked for a morning class get one!